Sometimes the sun smiles, the wind whispers to the trees, and the shadows of the leaves dance in the wind. Although literally, the sun cannot smile, the leaves cannot dance without legs, and the wind cannot whisper because it doesn’t have a mouth, we apply human characteristics and create these metaphors to describe a scene. When we talk about non-human things as if they were human, we personify them. Personification is a kind of metaphor in which you describe an inanimate object, abstract thing, or non-human animal in human terms. It is used to create more interesting and engaging scenes or characters. 1. Science-fiction novels were his constant companions. Only a person or animal can literally be a ‘companion’; books are just objects. But this personification tells us that the books meant a lot to him, like close friends, and probably brought him happiness, like friends would. The tired old car coughed and weezed and crawled down the street. This sort of description, common in literature, uses several human qualities to create a vivid image of a very old car for the reader. That piece of chocolate cake is calling my name. Chocolate cake doesn’t have the ability to call after someone, but this cliché uses personification to express the feeling of desire and hunger; we say that whatever object we desire is “calling our name.” Putting a character’s feelings into the objects around him or her is a very common technique in literature. Personification provides personality, energy, will, and emotion to an otherwise lifeless scene. Personification usually expresses characters’ feelings, and gives more life to a scene. Peace had deserted Devon. Although not in the look of the campus and village; they retained much of their dreaming summer calm. Fall had barely touched the full splendor of the trees, and during the height of the day the sun briefly regained its summertime power. In the air there was only an edge of coolness to imply the coming winter. But all had been caught up, like the first fallen leaves, by a new and energetic wind. In this example, peace, an abstract idea, can desert a place. Also, the campus and village dream and the fall touches the trees. This example shows that personification can be used for purposes more meaningful than merely making the description of a scene more vivid. After all, how can death be a person, let alone a mother? In this famous line from Hamlet, “fortune” – a random event in life that is beyond our control — is described as “outrageous” and as shooting arrows and stones (from a sling) – which describe both how it can feel, and points out that it can really hurt you! In this anthropomorphism (which is extended personification, see Related Terms) the lizard stands upright, uses hand motions, laughs, and speaks with a Cockney accent. This makes people relate to the mascot, which makes them feel better about the product. The Geico Gecko is a strong example of successful personification in advertising. A charming French candlestick, dishes who sing and dance, an anxious clock with a moustache, synchronized diving spoons, a polite and matronly teapot, the list goes on! 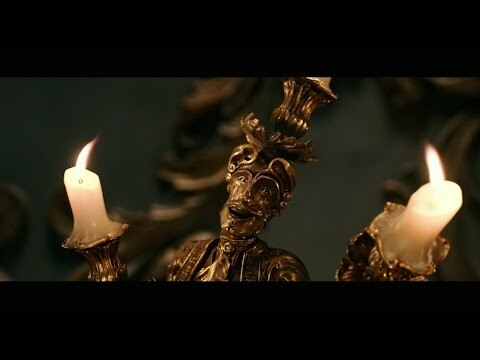 Beauty and the Beast is rich with personification, providing all sorts of household items with souls and personalities. In this example, the owl has taken on one human attribute: it laughs. In this example, the owl has become a person, with fully human abilities to think and talk.